So I am in possession of a 1st generation Nook Color, which will soon become my first Android tablet. It is also the first Android anything I’ll have really used, seeing as I’m a longtime Apple fanboy enthusiast. I have a fun side design project I’m about to start on, and I’ve wanted to play with Android for a little while anyway. After my experience with Windows Phone over the last few months, I’m a bit more open to seeing what the competition offers before I inevitably dive into the iPhone 5 next year. So, before I get too deep, HBO* and recommend me some good Android-only apps and stuff that will help me get up to speed on this thing. 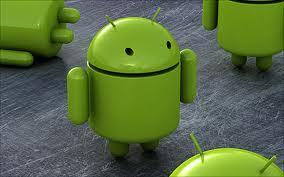 I’ve done a bit of research into Android, but there’s a lot to take in, and no real good place to start.